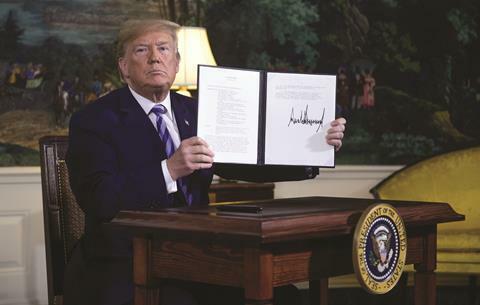 Donald Trump’s announcement that the US would reinstate sanctions on Iran’s oil sector on 8 May looks set to harm some major European petrochemical players. 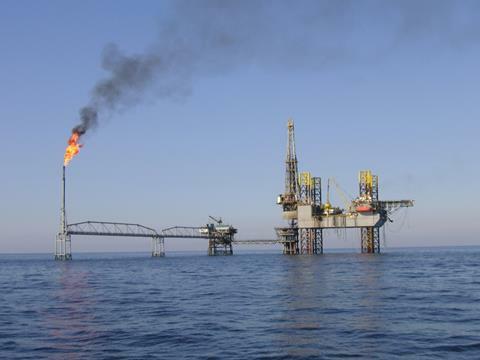 France’s Total warned on 16 May that it won’t be able to continue the enormous South Pars 11 gas project unless it gets a waiver from US authorities. Ludwigshafen, Germany-headquartered chemical producer BASF has also told Chemistry World that it is reviewing whether millions of Euros’ worth of sales may be affected. However, the impact on other companies, like giant Anglo-Dutch oil and gas group Shell and Paris, France-headquartered industrial gas experts Air Liquide, will likely be more limited. The January 2016 Iran nuclear deal or Joint Comprehensive Plan of Action (JCPOA) eased trade sanctions in exchange for Iran scaling down uranium enrichment for use in weapons. That opened the way for increased exports and collaboration to help Iran exploit its vast oil and gas wealth. Iran has the world’s largest natural gas reserves and ranks fourth in proven oil reserves, according to UK oil multinational BP, with around a fifth and a tenth of the total world supply respectively. But companies operating there will struggle to trade with the US, explains Karim el Assir, from auditing, advisory and tax service firm KPMG’s UK Corporate Intelligence team. ‘The US withdrawal from the JCPOA and the subsequent imposition of sanctions will effectively block all non-US companies with exposure to the US or its financial system from investing, or continuing to invest, in Iran,’ he says. That includes Total, which in July 2017 committed $1 billion to develop South Pars, which is the world’s largest gas field, together with Petrochina, to supply the domestic Iranian market. In 2016 Total had also been buying the most Iranian crude oil of any petrochemical major, according to Reuters. But now, it and any other company involved in Iran face secondary sanctions preventing them from trading in the far more important US market. The European Union is exploring options to protect European companies already in Iran, El Assir notes. The EU has started activating blocking statutes, which include measures such as stating that the EU doesn’t recognise court rulings that enforce US penalties. EU ambassadors are also negotiating for the US to carve affected businesses out of the sanctions, ‘though it is unclear what they may be able to achieve,’ El Assir adds. For example, BASF subsidiary Wintershall has signed a memorandum of understanding with the National Iranian Oil Company to investigate and explore four oil fields in the west of Iran. But in 2017 chief executive Kurt Bock told a news conference after the release of BASF’s 2016 earnings that he was uncertain whether that would proceed. Nevertheless, the lifting of sanctions has benefited BASF, spokesperson Chris Wilson reveals. ‘BASF in Iran has developed positively since sanctions were lifted in 2016,’ he tells Chemistry World. ‘Sales last year were in the high double-digit million Euro range. We produce or sell products that are not subject trade restrictions.’ BASF is now reviewing the situation following the US withdrawal from JCPOA. ‘We’ll comply with all the laws and regulations if they change,’ Wilson says. Shell has also been licensing its petrochemical technology to local Iranian partners and signed a provisional, non-binding, deal with the Iranian government to explore three gas fields in December 2016. The company declined to comment on its response to sanctions beyond saying ‘we are now assessing the impact of the executive order’. However Shell’s annual report for 2016 said that it only bought three cargoes of oil from Iran. Similarly Air Liquide signed a preliminary cooperation agreement with Iran’s National Petrochemical Company on technology for converting methanol to propylene. 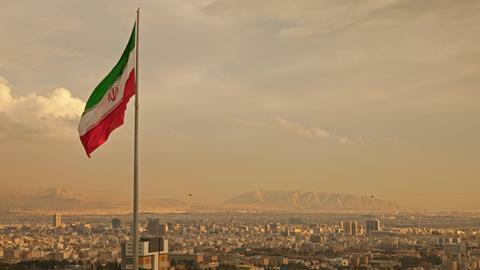 However, Air Liquide spokesperson Caroline Brugier tells Chemistry World that no project is ongoing under the agreement, and the company sells little to Iran.